Spending some time in the Henry W. Coe State Park is a perfect way to immerse yourself in the beautiful scenery of Morgan Hill. This state park is the largest in Northern California and is filled which many deep canyons and steep ridges. Expanding over 87,000 acres, this park is open daily at all hours, and is the ideal place for hiking, walking, or even just relaxing. Morgan Hill, California also has many other attractions to occupy your time while staying here. The Morgan Hill Bowl, for example, is a bowling alley that was recently renovated. This family-friendly facility encourages people of all ages to come and engage in friendly competition, and even hosts league bowling for bowling teams in the area. Open from 10 a.m. to 5 p.m. daily; The Morgan Hill Bowl is a fantastic place to visit while in Morgan Hill. There are also plenty of eateries in Morgan Hill to dine. For barbecue-style food in a kid-friendly environment, the Trail Dust BBQ is a fantastic choice. Also within the area are the Siam Thai Restaurant, which serves curry and other Thai foods, and the Ladera Grill, which is a contemporary American restaurant and grill. With such a large variety of eateries available, there is something for everyone in Morgan Hill. If you’re in search for a hotel to stay at while exploring this city, the Holiday Express Morgan Hill is a perfect choice. 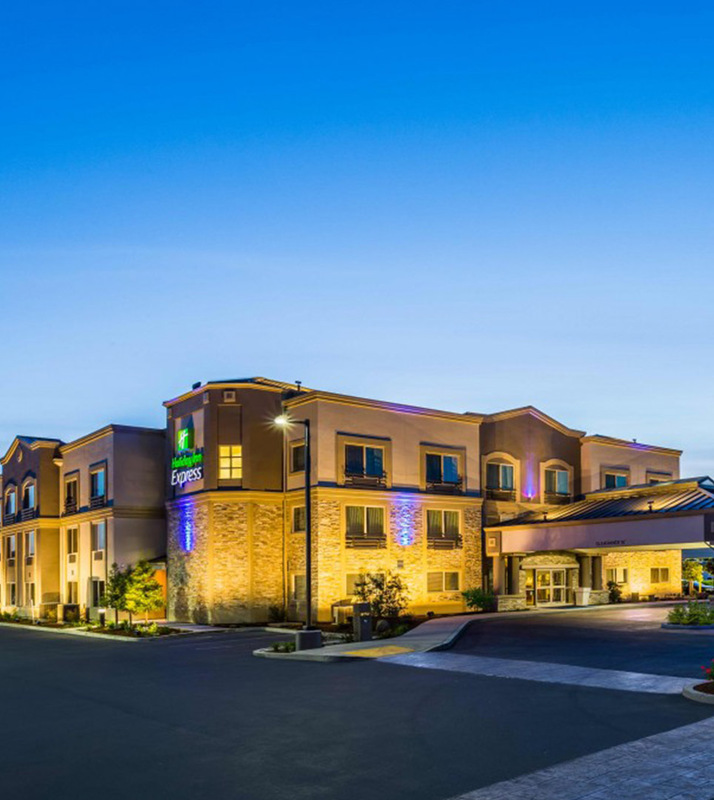 Located near most attractions in Morgan Hill, the Holiday Express Inn Morgan Hill offers impressive guest amenities and friendly staffing, making it the ideal place to stay while enjoying all of the attractions the city has to offer. While exploring the wonderful city of San Francisco, enjoy your stay at the Holiday Express Inn Morgan Hill. With all of these eateries and attractions located conveniently within the area of the hotel, the Holiday Express Inn Morgan Hill offers the best rates when you book directly at www.hiemorganhill.com.